JONAGOLD is a bit of a mystery, more popular around the globe than here in the United States, where it was developed. Jonagold is an exceptional apple in flavor, texture, and appearance, but Americans have not yet embraced it in on a large scale. A relatively new variety (1968) named for its parents, perhaps Jonagold is compromised by an unexciting brand identity compared to such new entries as Honeycrisp (1991), Jazz (2004), and SweeTango (2009). Whatever the reason, Jonagold ranks just 15th in popularity among varieties grown in the United States, sandwiched between Cortland at number 14 and Cameo at 16. 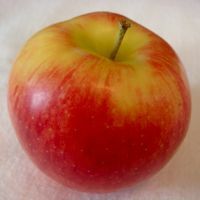 Jonagold is much more popular in Canada, Japan, and Europe than in America, especially Belgium, where — like McIntosh in New England — Jonagold accounts for about two-thirds of the apple crop. It is the third most popular variety in Canada. Worldwide (excluding China), Jonagolds rank sixth in production. Whatever the reasons Jonagold has lagged behind in the land in which it was developed, it is such a flavorful apple that it seems only a matter of time before Americans catch up with the rest of the world. Jonagold is an aromatic apple, sweet with a hint of tartness. It is very juicy, with a crisp, clean crunch reminiscent of Honeycrisp. Jonagold’s color is variable, but at its best it is a stunning combination of its parents, the rich, red Jonathan, and Golden Delicious. Its flesh is light yellow. A good all-purpose apple, Jonagold’s exceptional juiciness and flavor make it well-regarded for both fresh and hard cider. Jonagold was developed at Cornell University’s New York State Agricultural Experiment Station in Geneva, New York, in 1943, and introduced commercially in 1968. Both of Jonagold’s parents have been prolific: Jonathan is the parent of more than 70 named offspring, Golden Delicious 25. COUNT WINTER SQUASH among the many vegetables that pair well with apples. The apple’s versatility is further featured in a stuffing that can be used with eggplant, mushrooms, onions, tomatoes, or zucchini as well as with poultry and seafood. Both recipes come from Janet M. Christensen’s and Betty Bergman Levin’s Apple Orchard Cookbook, Second Edition (Countryman Press, 2010). Cut squash in halves and scoop out seeds. Dice apples and combine with nuts. Place squash in a baking pan. Divide apple-nut mixture among the six squash halves. Drizzle butter and syrup or honey over each. Add hot water to 1/2-inch depth. Cover pan loosely with foil. Bake at 400°F for 45 minutes, or until squash is tender. Mix together breadcrumbs, apple, hot water, and olive oil. Brush vegetables with 2 T olive oil before stuffing. Eggplant or zucchini: Halve and scoop out centers, chop the remains and add to stuffing mixture. Mushrooms: Break off and chop stems, and add to stuffing mixture. Onions: Halve large onions and remove their centers; set onion shells aside. Chop onion centers and add to stuffing mixture. Tomatoes: Remove inner part of tomato, chop, and add to stuffing mixture. Baked stuffed vegetables at 350°F for about 40 minutes. Bake poultry or seafood according to your usual procedure. THIS WEEKEND is the 18th Annual CiderDays in Franklin County, Massachusetts. The two-day event Saturday, November 3, and Sunday, November 4, draws hard cider-makers and aficionados from around the country. Many of CiderDays’ events are already sold out, but there is still time to join the festivities. Visit CiderDays for more information and a schedule. APPLE DRINKS merit an entire chapter in America’s Apple, a new book by Russell Steven Powell with photographs by Bar Lois Weeks. Several of the makers of fresh, hard, and ice cider from last year’s CiderDays are featured, including Boston’s Harpoon Brewery, makers of a commercial hard cider, and the artisanal Eden Ice Cider of West Charleston, Vermont. 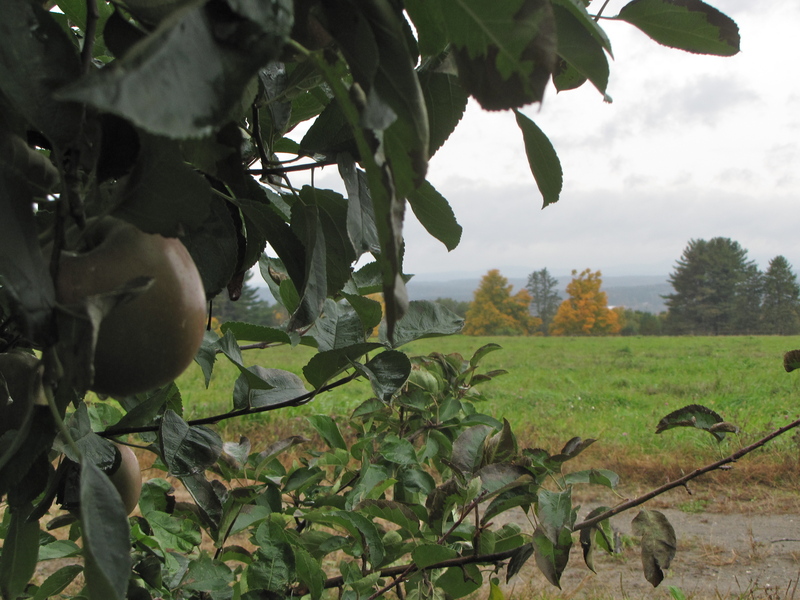 THE DAY BEGAN damp and dreary, but Bolton Orchards in Bolton, Massachusetts, was beautiful nonetheless on Sunday, with a few late-season apples providing stark contrast in a landscape being slowly drained of green. Beneath the clouds and mist, the distant backdrop of fall foliage looked brighter than if the sun had been out. The clouds dispersed by mid-afternoon, slowly exposing the long views afforded by the orchard’s hilltop location. AS WITH the parentage of many heirloom apples, the origin of this antique recipe for Hermits is a little cloudy. Most likely the Hermit cookie dates back to 1880 from two sources: Plattsburgh, New York, in the Champlain Valley, and Boston. The main difference in the two recipes is the New York recipe was made with brown sugar and no eggs, while the New England recipe called for white sugar and 3 eggs. Our version uses 2 eggs and molasses. The origin of the cookie name “Hermit” is also unclear. Some believe the oblong hermit looks like the brown robe of an ascetic hermit. Others say the cookie’s flavor improves after they are “secluded” for a few days. Preheat oven to 350°F. Cream together butter and brown sugar, then beat in molasses and eggs. Combine and stir in dry ingredients. Add fruit and nuts. Drop by rounded teaspoonfuls onto greased cookie sheet. Bake 12 minutes or until almost no imprint remains when lightly touched. Careful not to overbake! 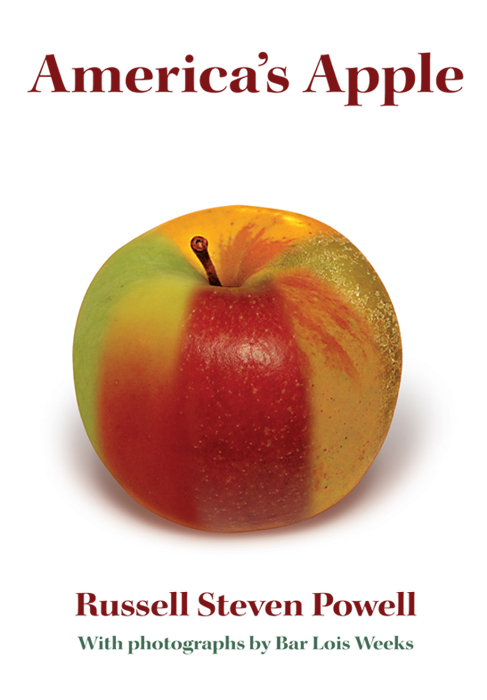 AMERICA’S APPLE, a new book about apple growing in the United States by Russell Steven Powell, looks at apples as horticulture, food, cultural icons, and agricultural commodity. 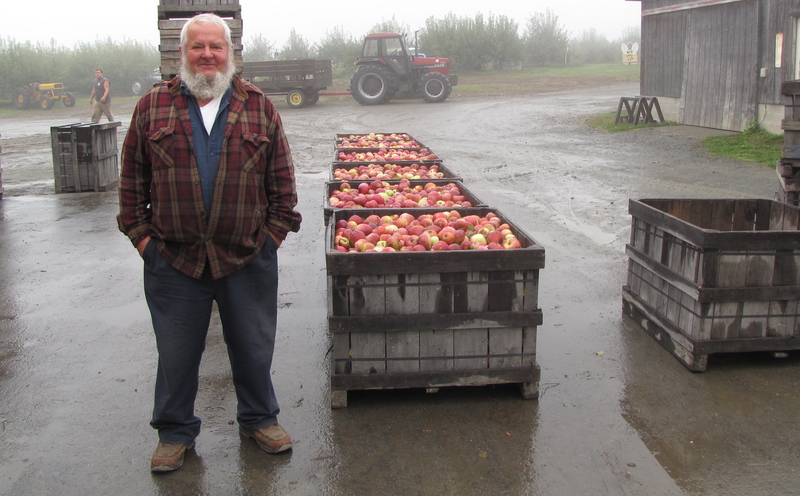 Powell, who has worked in the apple industry for the past 16 years, visited more than 50 orchards across the country gathering information for the book, and interviewed some of the nation’s leading apple researchers. The hard-cover volume features nearly 50 full-color photographs by Bar Lois Weeks, plus a photographic index of 120 apple varieties grown in the United States. A paperback version, identical except for the photographic index, is available for $19.95. To learn more, including how to order, visit America’s Apple. 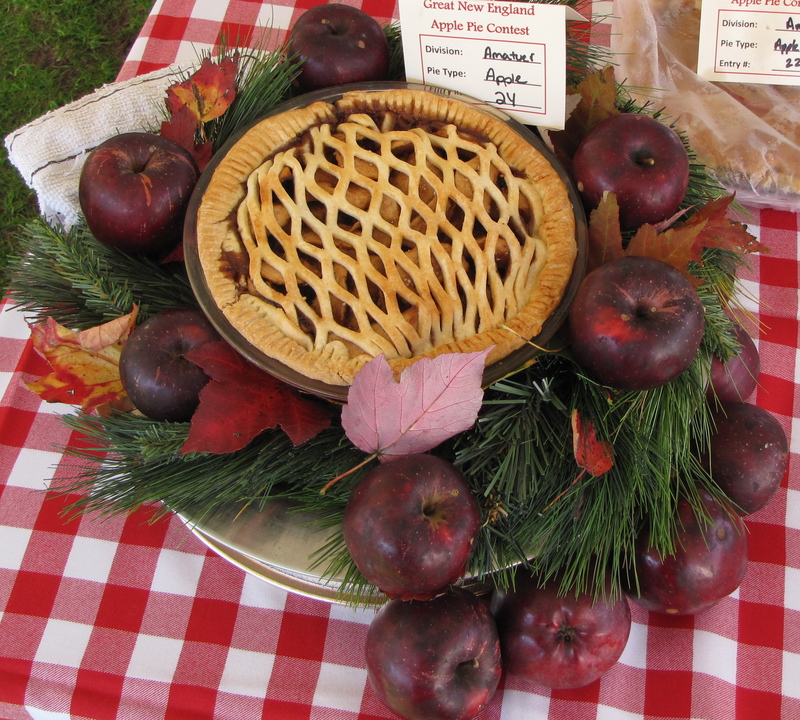 THIS WEEKEND the 28th Annual AppleFest will be held at Mount Wachusett in Princeton, Massachusetts. Red Apple Farm, as always, will have apples, fresh cider, cider donuts, and other baked goods from its Phillipston store and orchard. On Saturday, October 20, Russell and Bar will sign books from 11 a.m. to 1 p.m., and at 2 p.m. they will serve as judges in the 3rd Annual New England Apple Pie Contest. Russell will give a talk about apples at the Goodwin Memorial Library in Hadley, Massachusetts, next Wednesday, October 24, at 6 p.m., and at the Merrick Public Library in Brookfield, Massachusetts, Tuesday, November 13 at 7 p.m.
IT’S DIFFICULT to draw a single conclusion about this year’s New England apple crop. While the region’s diverse geography and microclimates ensure some variability from year to year, the 2012 season has been more volatile than most. It began with a freak March heat wave that was followed, predictably, by sub-freezing temperatures in April, killing many of the premature blossoms and nascent (young) fruit. Orchards and blocks of trees in low-lying areas with poor air circulation sustained the greatest loss. Some of the orchards that survived this catastrophe were then hit by hail in June and July, further reducing the size of the region’s crop. 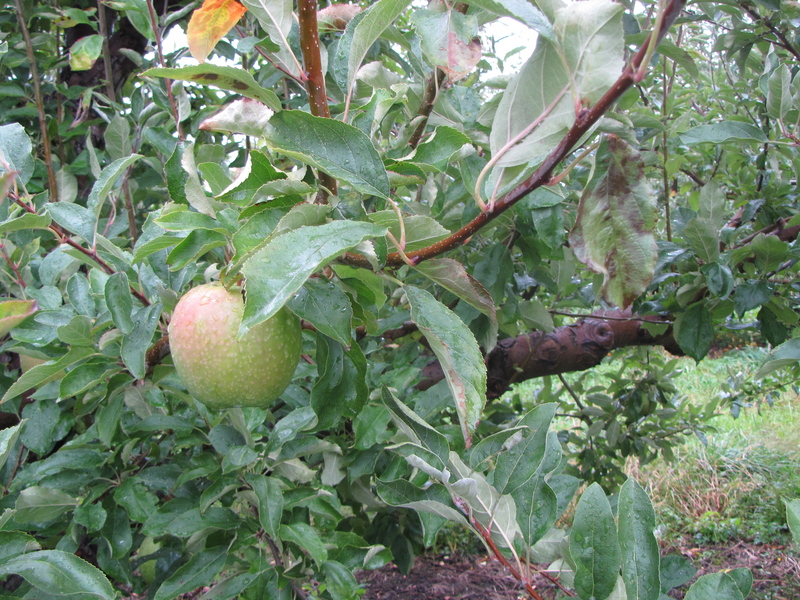 Even a brief hailstorm can devastate an orchard, leaving small nicks or pockmarks in the fruit’s skin. Hail makes an apple less pleasing to the eye and compromises its storage ability. But if eaten soon after it is picked the apple’s flavor and texture are unaffected. 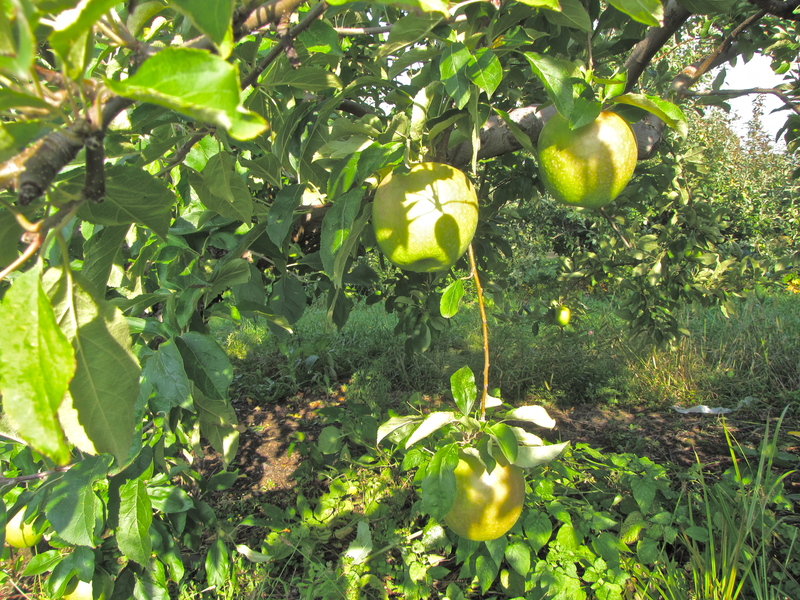 Spring and summer were hot, and, while overall the apple crop received plenty of water, there were several long stretches between rains early in the season. This, combined with the early bloom, sped up the ripening process, resulting in a harvest that began one or more weeks sooner than usual, depending on location. 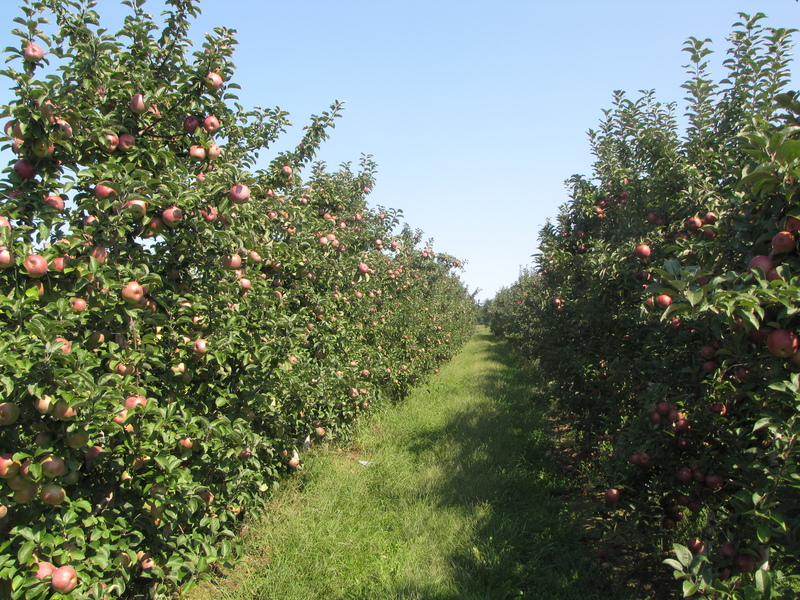 Mid-season varieties like McIntosh were being picked in some orchards as early as Labor Day Weekend, and many pick-your-owns have already closed for the season. The larger orchards growing for the wholesale market are finishing up their harvest earlier than usual as well. 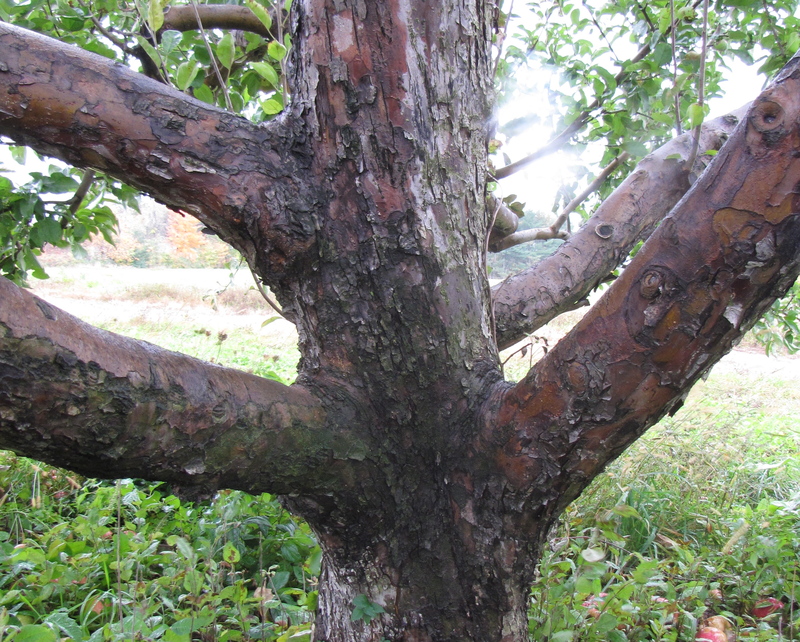 Some New England orchards lost their entire 2012 crop to frost or hail damage, or both. Yet the news was not all bad. Many orchards had beautiful, full crops. Most fell somewhere in between: they had apples, but only 60 percent to 80 percent of a normal crop. 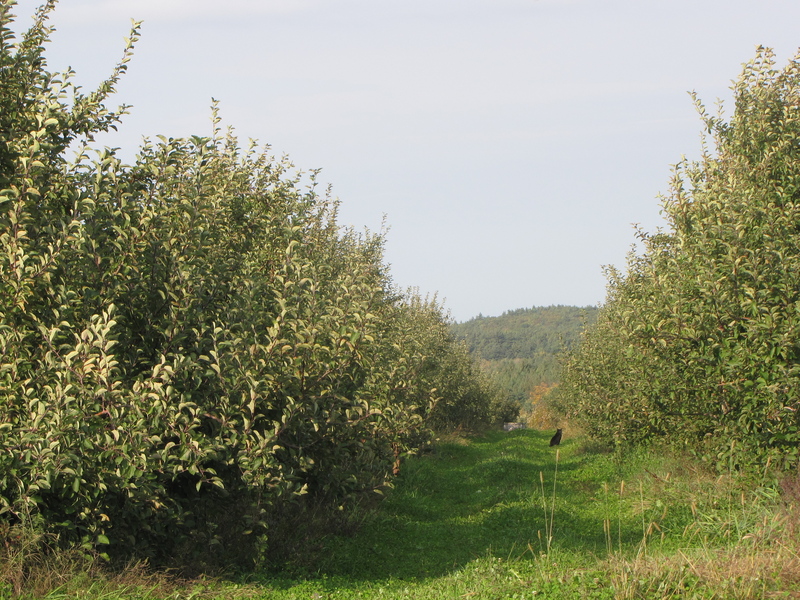 When all of the apples are picked, New England in 2012 expects to harvest about 75 percent of a normal crop. Despite this, New England did well and its growers feel fortunate compared to their peers in New York and Michigan, the country’s second and third largest apple-growing states, respectively, after Washington. New York lost half its crop, Michigan a staggering 85 percent, historic losses resulting from the same weather pattern experienced in New England: premature bloom from a March heat wave followed by a killing April frost. What should consumers expect due to the earlier and smaller crop in New England and the Northeast? A shorter season. 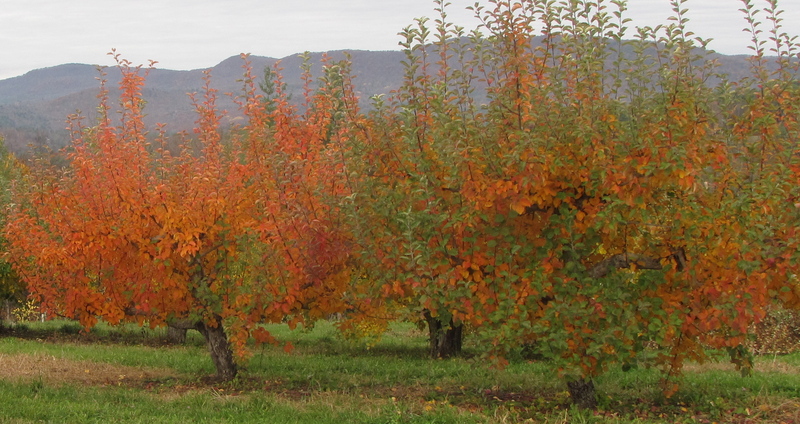 If you want the orchard experience this fall, you should get there over the next few weekends. 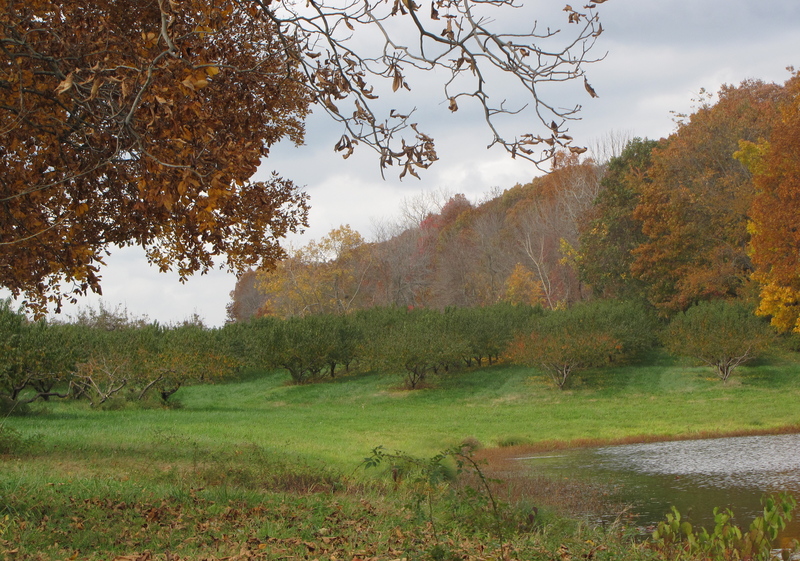 Visit our website, New England Apples, to find information about many of the region’s orchards. 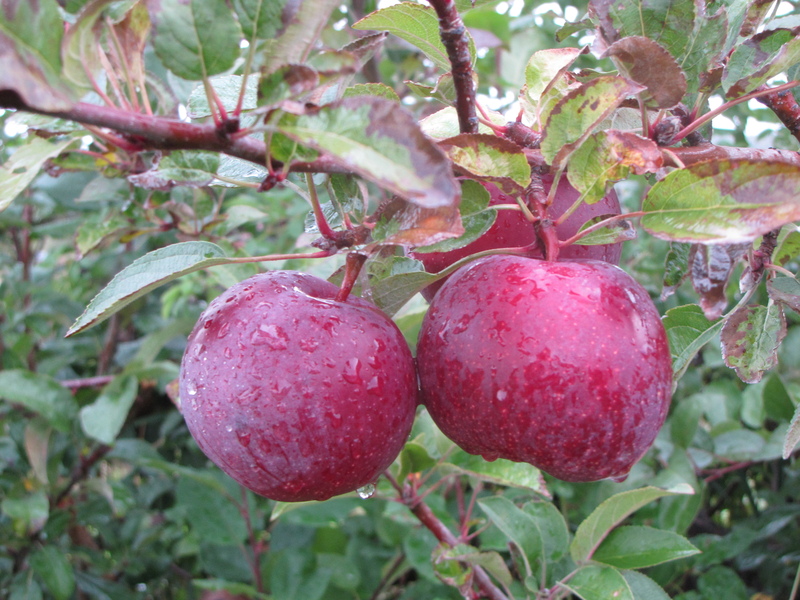 Call the orchard ahead of time to find out what varieties are ready and to see if pick-your-own is still available. Dings and dents. With fewer fresh apples around this fall, growers are hoping consumers will accept an occasional blemish or flaw in exchange for an otherwise perfect apple. Higher fresh cider prices. There simply are not enough juice apples this year, and there is no going to New York or Michigan to supplement the New England crop. The price of juice apples is up accordingly, and is likely to take cider prices with it. An early end. The wholesale season will likely end early next spring. While there are plenty of fresh apples to go around now and through the holidays, the 2012 New England crop will be sold well before the 2013 crop is ready for harvest next August. In a good year, New England can supply its supermarkets with apples year-round. Many times there is a gap of a month or so between seasons, but the 2012 crop may be gone earlier than usual. In the meantime, there are plenty of outstanding New England apples ripe for the picking and eating. Enjoy them while you can! 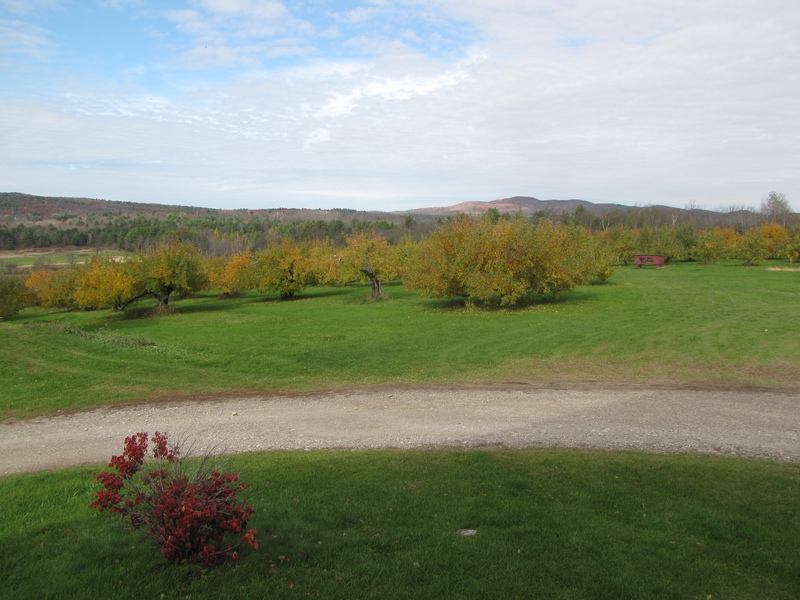 IF YOU ARE LOOKING for variety in your apples and can’t get to the orchard, two good options in western New England are River Valley Market in Northampton, Massachusetts, and the Brattleboro Co-op in Vermont. Both have extensive apple displays with many hard-to-find heirlooms like Knobby Russet, Ashmead’s Kernel, and Pitmaston Pineapple. The best place to find an heirloom apple, naturally, is at the orchard, and you can find out who grows what by visiting Finding New England Apples by Variety. If you know of additional sources for heirlooms in New England, please add them as comments at the end of this post. THIS RECIPE for apple muffins was provided by Diane Brzozowski of Hatfield, who made them for runners at the end of Saturday’s Hatfield Harvest 5K Road Race, where they were quickly gobbled up. The original 1996 recipe came from the Healthy Eating for Life Program (HELP), Cooperative Extension Service, Kansas State University, Manhattan, Kansas. Preheat oven to 375° F. Grease tins for 12 muffins. Mix dry ingredients thoroughly. Mix together egg, milk, oil, and honey, and add them to the dry ingredients. Stir until batter is moist but lumpy. Fill the muffin tins two-thirds full. Bake 25 minutes or until lightly browned. WEATHER IS just one of the challenges growers face as they guide their crop from spring bloom through harvest in America’s Apple, a new book about apple growing in the United States by Russell Steven Powell.Powell, who has worked in the apple industry for the past 16 years, visited more than 50 orchards across the country gathering information for the book, and interviewed some of the nation’s leading apple researchers. The hard-cover volume features nearly 50 full-color photographs by Bar Lois Weeks, plus a photographic index of 120 apple varieties grown in the United States (a paperback version, identical except for the photographic index, is available for $19.95).